$100,000 investment for ten years assuming 7% annual appreciation. The chart above represents a sample fund with a 7% YoY return. 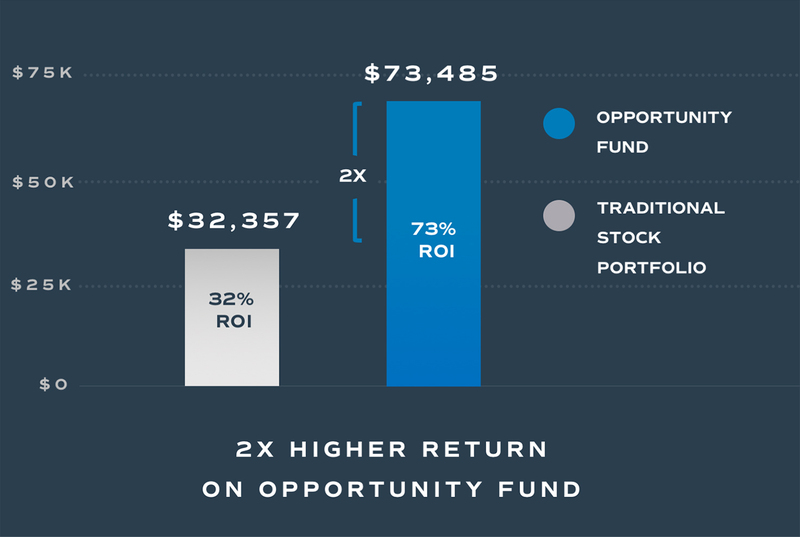 The chart above shows the difference in after tax profits if you invested $100,000 into a traditional stock portfolio that gained 7% year over year appreciation, verses if you invested in an Opportunity Fund with a 7% year over year appreciation. The chart above assumes a long term capital gains rate of 23.8 % (20% federal capital gains tax and 3.8% net investment income tax). It also assumes holding in the sample fund for ten years. The performance assumptions shown are for illustrative purposes only, and are not intended to reflect the actual experience of any individual investor.